Kurzweil‘s history has had its share of drama, including buyouts by Young Chang and Hyundai, but in more recent years the company has regained quite a bit of momentum (and newfo und popularity). We previewed the original PC3 at NAMM a few years ago and were blown away by its sound, as well as Kurzweil’s “everything is included” approach to designing a modern workstation. The latest version is the PC3 LE. Taking many of the best features of the PC3, the PC3 LE adds real drum pads, multiple knobs for real-time control, and even some new sounds. The focus is heavily on real-time performance control, with many new features that help the keyboard to excel in a stage rig. OVERALL RATING = 3.6, which earns it a WIHO Award! If you want an easy to use, great-sounding keyboard without sampling that is just as adept on stage as in the studio, this is one synth you should definitely put on your short list. While the PC3 LE’s more costly siblings do have more editing capabilities and add memory for loading samples, the LE never lacks in the sound department. The most commonly needed features are all here, and easy tweaking of your basic sound controls makes short work of creating personalized sounds. While many LE models from other companies leave you wanting their bigger models, the PC3 LE gives you enough new features that make it a worthy alternative to the more costly PC3 workstations. It really comes down to the feature sets, and not a difference in sound quality. The PC3 LE has 64-voice polyphony with over 1,000 programs including all of the original PC3 sounds (Base ROM, Orchestral, Classic Keys, String Section, General MIDI set and over seventy KB3 programs), and about 200 new sounds specifically designed for the PC3 LE. Most sounds utilize Kurzweil’s sample-based V.A.S.T. 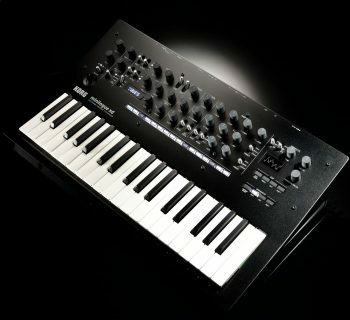 synth engine, and there are also new virtual analog sounds, utilizing what Kurzweil calls KVA (Kurzweil Virtual Analog oscillator modeling technology). As mentioned, Kurzweil has also included their “KB3” mode sounds, which provides for some great sounding modeled organ sounds. The middle of the top panel has a 240 x 64 pixel backlit LCD, and there are six buttons underneath the screen that help to quickly navigate through things. Of note, the LCD screen is not touch sensitive. On the far right of the keyboard panel is the category selector, which has buttons labeled as Pads, Synth, Drums, etc., allowing for quick navigation to find various sound types — a welcome function given the large volume of sounds (and similar, for example, to Roland’s XP-series sound finder). Next to this section (closer to the LCD screen) is the alpha wheel, which again, helps to scroll quickly through parameters. A nice feature the PC3 LE has is what is called the “INFO” feature, which allows you to see exactly what you are manipulating in real time. And speaking of real-time manipulation, there are five assignable knobs and five assignable buttons on the left side of the keyboard. With the Shift button, alternate functions can be obtained. The big new addition, however, is the inclusion of eight drum pads on the front panel, which can be used for drum programming or they can be reassigned to other functions such as launching sequences or selecting sounds. Interestingly, each sound program (non-drum sounds) automatically assigns these pads drum sounds, so you can quickly play a beat while recording. The PC3 LE includes sixteen independent arpeggiators — wow! — containing dozens of patterns to create some very unique sonic textures. You can assign note velocity to various patterns or to a controller, and specify duration, latch mode, play order, tempo, and sync functions. A remarkable feature in the PC3 LE is that each zone in a setup can have its own arpeggio, so theoretically, you could have sixteen separate patterns mapped across the keyboard and triggering at once (in case you were wondering how to use up sixty-four voices with just two hands). As if that weren’t enough, there’s also a Riffs feature. In addition to sixteen simultaneous independent arpeggiators, the PC3LE (and PC3) also allow up to sixteen simultaneous Riffs that can be triggered in Setups mode (in conjunction with the arps if you like). 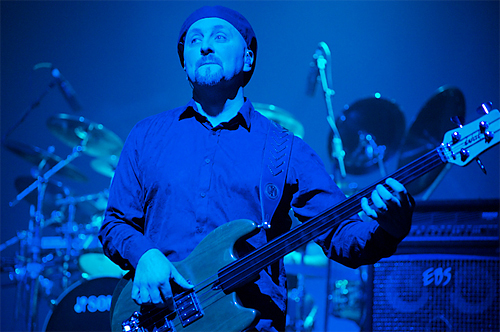 For example, using the “BluesJam” preset, pressing a note on the keyboard starts both the bass and drum lines. However, just the drums can be started by hitting pad One (of the eight touch pads) and the bass line can triggered On or Off by hitting pad Two. The idea is that musical ideas can be programmed separately from arpeggios, and can be triggered in quite a number of different ways: using the drum pads, keys, buttons, or pedals. It’s definitely a cool feature. Clearly, good things come in sets of sixteen. There is also a sixteen-track sequencer, and towards the center of the keyboard panel are dedicated transport buttons for Play/Pause, Record, and Stop. A quick word about modes on the PC3 LE: you are always in one of six operating modes at any time. Program mode is for selecting and playing a single sound. 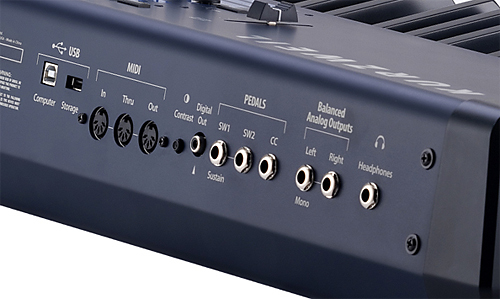 Setup mode turns the PC3 LE into a 16-channel, multitimbral performance instrument and MIDI controller (reminiscent of the “Combi” mode on many Korg workstations). You can layer and split the keyboard into sixteen sections(! ), each with individual channel and control assignments. Arpeggios and Riffs (mini- sequences) can also be assigned to Setups. Song mode brings up the PC3 LE’s sequencer. Of note, the PC3 LE ships with a variety of mini-sequences in many different styles, which are useful for helping to develop ideas. A Quick Access mode groups up to ten programs or setups in a single window. They can be selected by the press of a single button or by using the cursor controls. Quick Access banks can be used to group many sounds of a particular type together for fast auditioning, or to assemble all sounds to be used in a particular song or set in one place. As a gigging musician, this is a great feature, making it easy to have your most used sounds ready to go. Finally, the Master and Storage modes specify global settings and handle data transfers to a computer or USB drive, respectively. Speaking of USB, the PC3 LE has two USB ports. One is dedicated for connection to a computer (i.e., for MIDI), while the other port is for storage to a thumb drive or other external storage. Other ports in the back are R/L main out, MIDI In/Out/Thru, three pedal inputs, headphones, and a digital out. While we would have liked more analog outs, the digital output is a nice addition. Finally, there is an impressive array of effects, and you can apply up to ten effects at once! There are over 700 preset effect chains you can choose from, with real-time controllers already assigned to relevant parameters (for example, for tweaking chorus width or delay times). You can edit these parameters via the parameters page, which allows you to reassign any controller to any available parameter (relevant to the given program you are using at that time). • The LE offers minimal program editing, limited to altering entry values for existing assigned MIDI controllers. • The LE is sixty-four voice polyphonic, the PC3 is 128. • The LE does not include editing software. • There is no option for future Sound ROM expansion. • The LE offers less effects DSP horsepower (including no Master FX section). • The LE has two footswitch pedal inputs and one continuous controller (CC) pedal input; the PC3 has three footswitch and two CC pedal inputs. • The LE has no ribbon or breath controller inputs. • The LE only offers two analog outputs, the PC3 has four. • The LE's digital out cannot be slaved to an external digital clock. • The MIDI Thru on the LE is not switchable to an additional Out as it is on the PC3. • The LE supports USB thumb drives; the PC3 uses xD cards. • Both the LE6 and LE7 offer the semi-weighted action keybed as found in the 76-note PC3. 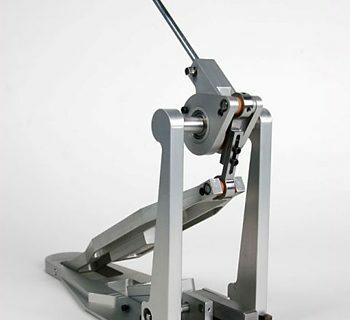 The LE8 offers the same fully-weighted action as found in the PC3X. • The LE has eight front-panel pad triggers; the PC3 has none. Well, it’s a keyboard. Turn on. Play. Ok, maybe it’s not quite that simplistic with the PC3 LE. But in most cases, not that far off. The “info” feature was very helpful. Any we turned a knob or pressed a button, a section of the LED screen lit up to tell us what we were changing and what the current value is. So if you’re ever wondering, “what does this knob do?” don’t worry — just turn it and find out! But... the display is relatively small, and this info is also pretty small, so you have to look closely to see it. Actually that brings up one of our small (no pun intended) gripes with using the PC3 LE. While things are generally well organized and straightforward, at times we found ourselves wishing there was a larger screen for info, or even a touch screen. Although there is good organization, the display got a little crowded at times. Despite being an “LE” model (which usually means less feature-packed than other models in a product family), there’s still a lot to work with in terms of sounds, parameters, editing, etc, so we wish there was a larger display to show us what we needed. Again, this is a small gripe as things are generally easy to navigate, but this certainly makes it onto our wish list. Alternately, a software editor from SoundTower would eliminate this concern [Editor’s Note: an LE version is supposedly in the works, and it will be available for a nominal fee]. Response time was fast from buttons/knobs/controls, and one great feature was that if you select a new sound program while an existing sound is still being triggered, the PC3 LE will continue playing that sound until you hit the next note(s). This is nice for gigging musicians who want to change sounds on the fly seamlessly. The parameter controls were smartly arranged, so even having to rely on a Shift key to access additional controls didn’t cause us any annoyance. As mentioned, the PC3 LE includes an arpeggiator, and its On/Off switch is located near the mod wheel at the end of keyboard. Perhaps this was done so it is not accidentally triggered, but we would have preferred its placement a little closer to the central action. Further, the dedicated button to edit arpeggiator modes was located elsewhere on the LE, making use of this feature less intuitive at first. We would have like to see these controls grouped together. But it’s a small gripe. The instrument as a whole has a sturdy, reassuring feel to it, and we liked the fully weighted action on our PC3 LE 88-key model (the keyboard is manufactured by Fatar, and is the same one used on the PC3). Sound has always been the single biggest reason to buy a Kurzweil, and with the PC3 LE, it’s no exception. These guys threw everything into their new line of workstations: almost like a Swiss Army knife of sounds, but on a very high level. 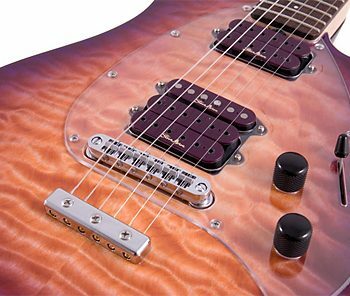 We were blown away the first time we heard the PC3 line unveiled at NAMM, and our review model didn’t disappoint. There are plenty of original sounds: swirling atmospherics, synths, world sounds, and great staples including pianos, strings, drums, etc. However, one of the things that separates Kurzweil from many of their competitors is their willingness to go after a specific sound as it was used in a famous recording. You like the piano sound from Coldplay’s “Clocks?” It’s in there (as “Coldpliano,” and yes, it’s spelled that way). Like Stevie Wonder or Led Zeppelin? Classic song-specific sounds are in there too. There’s even a dead-on recreation of Eddie Van Halen’s Oberheim sound from “Jump” (and labeled as such). The mix of both original and “famous” sounds makes the Kurweil a great instrument for both the studio and stage — it is extremely versatile. The virtual analog sounds were warm and fat as well. The “Setups” mode was fun since many of those presets are full band setups, and pressing a key activates the band and you can solo over it. Similar to Korg’s “combi” mode, a setup might consist of a drum beat, a bass sound, and a soloing sound. An example of this is Setup preset #5, “BluesJam in G.” You get a drum beat and a bass line already programmed, and a Rhodes piano to solo over it. Although a very basic example, it was fun to jam with nevertheless. Some of the other presets provided great starts for developing ideas. We really loved the sound of the Kurzweil PC3 LE and found it both musical and inspiring. This keyboard will not disappoint. Although the editing capabilities aren’t as deep as on the PC3, there’s nothing “light” about the sounds in the LE. Kurzweil’s manual is a bit lengthy, but on par with other manufacturers’ manuals for a pro-level keyboard. It is clearly written and provides usability tips throughout. 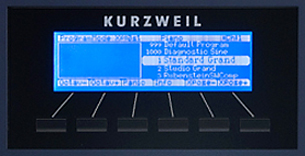 There is also info on the Kurzweil website including demo songs and sound program examples.. The Kurzweil PC3 LE8 (MSRP $2,395) sells for approximately $2,200. Most pro-level keyboards are around this price, and some cost as much as double. However, for what you get — stellar sounds usable for just about everything, coupled with good control functions for splits and customized triggers and sound banks, this single keyboard could easy take the place of several. The PC3 LE6 (MSRP $1,695) sells for just under $1,300. The PC3 LE7 (MSRP $1,995) sells for just under $1,800. 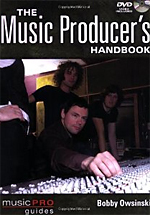 Book Report: "Mastering Music at Home"